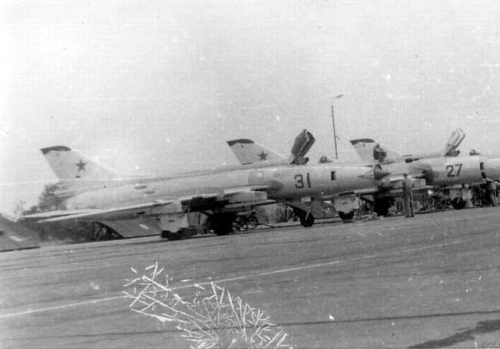 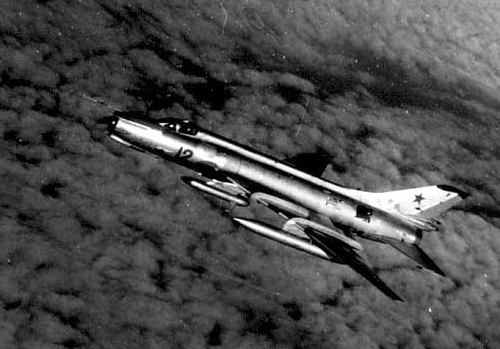 The Soviet 34th Tactical Air Army's 168th Guard Fighter Bomber Air Regiment was the last to receive the Su-17M2 Fitter-D type from the factory in 1977. 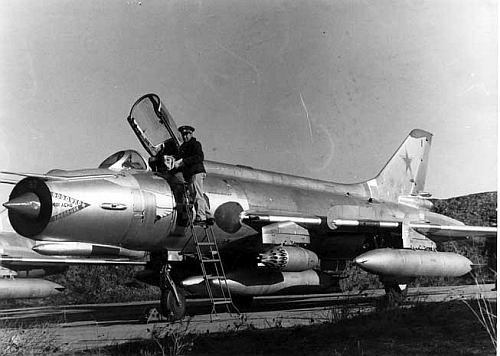 The modern, precision weapon using type was only used for a short time. 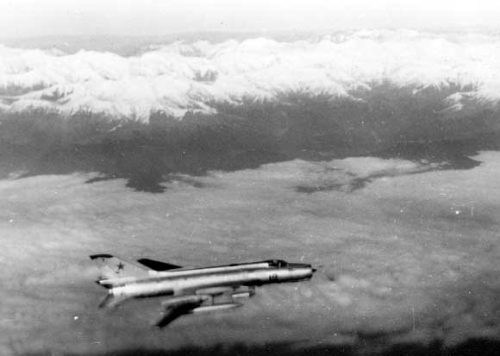 Soon was retrained to Su-17M3 Hitter-H type and flew missions over Afghanistan with that.